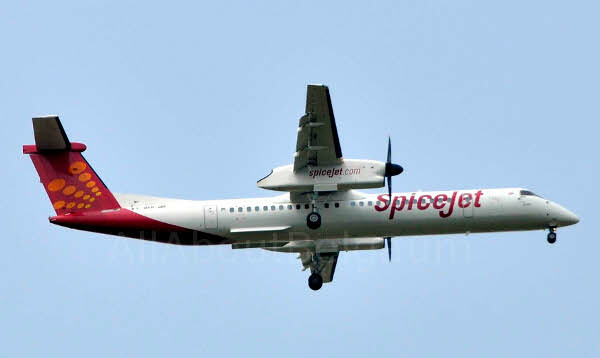 The day has arrived when one of the oldest airports in country established by The Royal Air Force (RAF) in 1942, the Belagavi (IXG) airport will from today have only one SpiceJet flight to Bengaluru that too six days a week. All the five flights that were been run by Spicejet have been diverted to Hubballi from Today under the UDAN scheme and hence IXG airport has been left abandoned. Indian Airlines had regular service from here but in late 1980’s it got dis continued and in 1989 private players like Vayudoot started operations with the Belgaum – Mumbai and Belgaum- Bangalore services. 1993-95 East west airlines flew from here and in 1994 NEPC also started operations. In 1997-98 Span Airways had its operations from here. In 1998 Gujrat airways commenced its operations on Bangalore Belgaum Pune route but due to lack of traffic and technical reasons its stopped its operations. In 1999 air services from Sambra stopped completely. After 1999 untill 2003 the airport was being utlised by politicians and the Air force for training with no commercial flights. In 2003 Air Deccan the low cost airline started its operations and IXG was back on the radar. Service was commenced on 29 September 2003 with the Mumbai – Bangalore service via Belgaum. Later due to lack of traffic only Belgaum – Bangalore service was in operation. At the recent election rally Prime Minister Mr Narendra Modi categorically said We will be connecting all small cities with flights under the UDAN scheme and Belagavi be assured even your city will be included under UDAN. There was a lot of hue and cry from the citizens of Belagavi about this and Save Belagavi Airport #SaveIXG campaign was commenced to get this to the notice of the authorities how this UDAN scheme has been hurting the development. Untill and unless IXG is brought under the UDAN scheme further development and use of the upgraded airport will be halted. This assurance from the PM is a welcome sign to the fliers and we could actually see an announcement after the elections. Why did they not do this before elections ? Local MP’s should have intervened & stopped this discontinuation of other flights. They should have continued with the same flights & same schedule untill such time till the Udaan scheme is launched. Why did they not do this before elections ? This is how voters are fooled. Local MP’s should have intervened & stopped this discontinuation of other flights. They should have continued with the same flights & same schedule untill such time till the Udaan scheme is launched.